Ending the Year on a Very High Note! 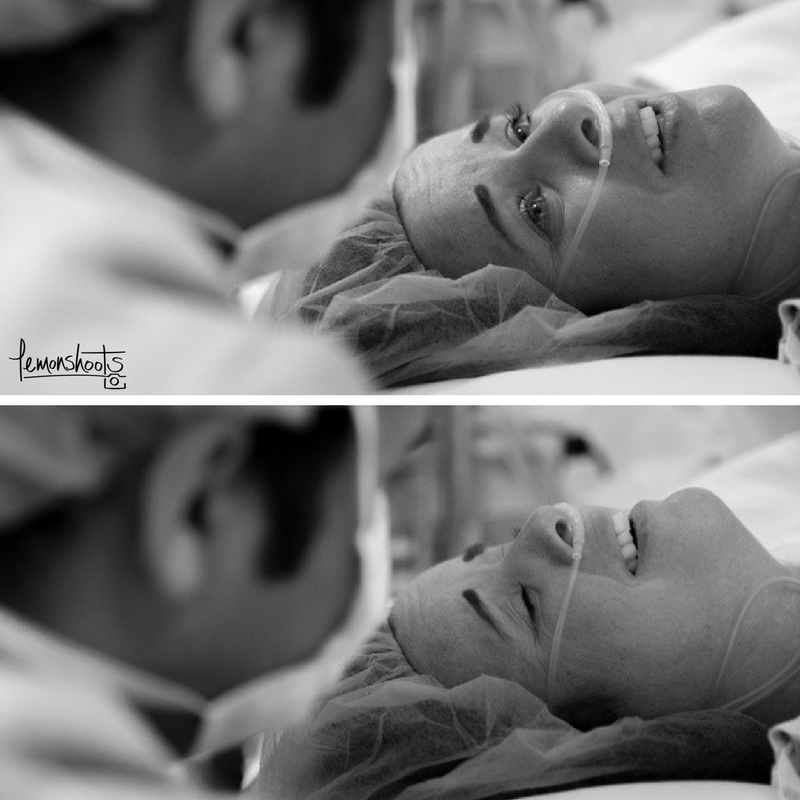 I'm proud to say that these two beautiful images won the 6th version of the Outstanding Maternity Awards! My heart skipped a beat when I got the email saying my images had won! I feel so happy and proud, but most of all, I feel thankful to the two set of parents of these cute little angels, for letting me photograph them. I thank you for allowing me to be creative during our session and I share this huge success with you! As I prepare to end this incredible year, I look forward to what 2018 has in store for us. I'm looking forward to working on my Goals and start checking more items off this list! Thank you to all who make Lemonshoots possible. Without hopeful bellies, cute babies and happy families, my lens wouldn't have a reason to be here. I wouldn't have any story to tell. I'm here for you. To capture your moment. To tell you story. This is what I do. Happy Holidays to all of you, and the best for 2018! But Who Will Publish My Newborn Baby? If you are having your baby soon, this is your lucky day! How would you like to have your little unborn treasure be part of a beautiful keepsake? Something that will stand the test of time so you can enjoy it for years to come. Something you can share with all your family, friends and loved ones. Something that will feature your baby in a classic, timeless and unique way. I'm talking about having your baby published in a limited edition, high-end coffee table book. But who is going to publish that book? I am! So, if you want to have your newborn baby published, here are the three easy steps you have to follow in order to do so! In order to have your baby in this book, you have to have a due date on, or before September 30th 2017. This will allow enough time for the book publishing company to work on the details to make it look super beautiful and have it ready on time! The book will feature the cutest babies in the Bay Area, all photographed by Lemonshoots. So the second step is to book your newborn session with me. Right now, I have a limited availability digital package at a great price, that will guarantee you a copy of this beautiful book. You're also getting a great deal in your digital files, since I haven't had a digital package at this price! Ever! After your session, sit back and relax while we do our magic. The coffee table book will hopefully be ready by the Holidays. Could there be a better gift than your sweet bundle of joy looking so adorable and elegant in this beautiful artwork? I know you will love it! There are only a few spots left in my August and September calendars. If you would like to have your baby published, contact me today to have you scheduled! Also, the special Book Package will be up not for long, so call me today! Marcela talks about her recent APNPI Qualified Newborn Photographer Certification. Fast Food vs Fine Dining. Wait, Isn't This a Photography Blog? When I was starting out as a newborn and maternity photographer, my mentor Ana Brandt taught me that photography is like a dining experience. Sometimes you are in a rush and need to grab a bite quickly, so you go to a fast food restaurant. You don't expect a five star service nor outstanding quality of your meal, but you get your necessity covered, which is eating something without investing too much time on it. Other times you are celebrating something. There's a special occasion and you plan for a nice dinner. You go to an elegant restaurant, where you'll have waiters giving you great service and a fancy menu created by a chef that studied culinary art and that is a master in his profession. These two options don't cost the same, but you accept that because they are different. When you go to a fine restaurant, you are paying a lot more. But it is worth it, because the reason of your celebration is worth it. But doing fine dining every night would be tiring for both your palate and your wallet, that's why you save it for special occasions. There are situations where fast food is good enough and there are occasions that deserve fine dining. The same goes with your photography sessions. Some times you just need some pictures taken to remember your trip to Europe or your backyard dinner party. A friend with a nice camera or an iPhone and a selfie stick would do (although I'm openly not a fan of those stick things!). But on special occasions, on unrepeatable moments, you want the whole service experience, the fine dining pampering where professionals will make sure you get quality over quantity. And what is more worthy of a celebration than the arrival of your newborn baby? 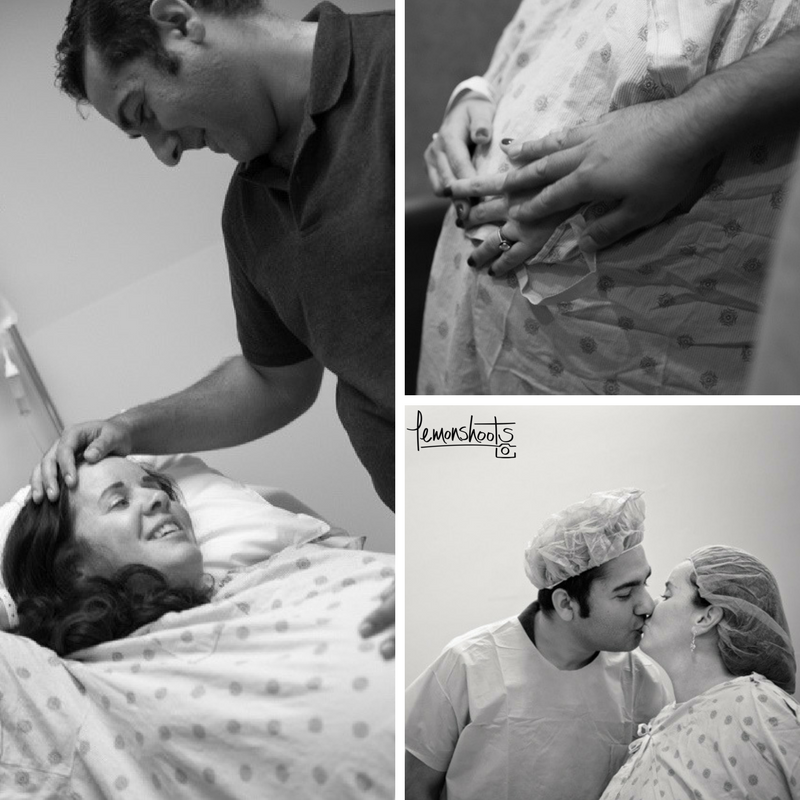 Documenting your pregnancy and his or her arrival will be an investment, yes, but you know it's worth it. You won't do this every day as you would going to a fast food place. This is a fine dining occasion. You are celebrating new life, your family growing, and that asks for the best of the best. Yes, I know it is expensive. It's like going to a three Michelin star restaurant. But like everything, there's a reason to it, and like everything, you get what you pay for. You don't want anyone with a camera handling your newborn baby. There's a lot to consider regarding newborn physiology and safety. We professionals take courses and invest a good amount of time learning everything we need to know to make sure your baby is safe at all times. Good education costs money. If you are going to hang these images on your walls, you want them to look stunning. For an image to look beautiful, we need to have an extensive variety of props. These include blankets, wraps, outfits, headbands, bonnets, furs, baskets, wreaths, bowls and the list goes on and on. These props are expensive, and since everything has to be washed between sessions, they get worn down quickly, so we need to restock constantly. And quality products are pricy too. I chose my labs carefully, making sure I'm giving you prints, canvases and photo books that will last for years. There were cheaper options, but then again, this is a fine dining experience. Your baby is the boss during the session. This means, we can't tell him or her what to do nor to fall asleep whenever I'm ready to take his or her photo. Babies sleep, eat and poop whenever they need to and want to. Newborn sessions have to last a long time to leave room for these events to happen without messing with the outcome. There's a lot of patience involved. That's why I only book one newborn per day, and by doing so, the number of sessions I can take are very limited. Newborn babies are all beautiful, but birth is a tough process and sometimes it leaves some marks on your baby's skin. These have to be edited after the session in professional software like Lightroom or Photoshop. These programs cost a lot of money to own and to learn. It is very easy to over-edit an image. Knowing the sweet spot between smooth skin and doll-like skin takes time and practice. Owning a business is not cheap. Being a registered business, paying taxes, having insurance and becoming a member in different photographer's associations is not cheap. There are many costs involved in operating a business and it all comes from the costs of sessions. Just as with the analogy my mentor told me, if you want cheap, you go to your hobbyist friend. If you want a good service and a good product, it will cost you more. You won't hire a high-end photographer for an everyday occasion. But this is your baby's story. Your path to parenthood. Making sure you get the best quality images and the best experience throughout the process is worth every penny. When searching for a photographer to document this stage of your life, keep this in mind: do you want a fast food or a fine dining experience? Many of my clients have confessed that besides their wedding or engagement pictures, their maternity session is their first professional photography experience. Obviously they're nervous and feel like they don't know what to expect, how to pose and what to wear. Although feeling that way is completely normal, there's no need for it! The fear can go away by simply having a little bit of information. So without further ado, here are five things you must consider for a successful and fun maternity session! No matter if this is your first pregnancy or the fifth, it is a very special time for you and your growing family. Being pregnant is a miracle that lasts for a short period of time and doing something to remember it forever is always a good idea. You've already started with the right foot by booking your session, but how to be ready for the big day? Well, these photos will be part of your still unborn child's legacy and story. They will last for generations to come, so you might want to consider making an appointment with your hair stylist and makeup artist. It's also a good idea to consider having a manicure done, since some shoots can include closeups of your hands on your belly. Make sure to leave that day clear and open so you're not stressed out thinking about other things you have to do. Think of it as a day for you and your significant other. I always suggest to make some dinner reservations for after the session, that way they can finish a magical day on a high note. Although the center of attention will be you and your belly, the surroundings are very important to get wonderful photos. We are very lucky that in the Bay Area, we have amazing spots that make for truly unique backgrounds for your photos. From Baker Beach and Fort Point to the Legion of Honor and the Palace of Fine Arts, each location has its magic and enchantment. Golden Gate Park offers tons of shaded green areas with flowers, trees and bodies of water. Looking for an urban look? Walking around the mission murals could be a good idea. There are many different parks in and out of San Francisco. Some of them make for very suburban looks, even though they're just minutes away from the city. If you're more into a private setting, your backyard or your own home are good options too. Keep in mind that some photographers are natural light photographers only, so if you're planning to use your own house as a location, make sure you have a room with a big window that allows for beautiful light. The pregnant body is beautiful. I'm aware that most women don't feel that way when they are expecting, because they only focus in the pounds they have gained, how their clothes don't fit anymore, they're conscious of their stretch marks and swollen feet and just feel overall not photographic material. But the truth is, you look stunning and you glow. We photographers are here to bring out that beauty and show you how stunning you look with your big round belly. Some clothes are more flattering than others. Wearing maternity gowns that were designed to show your curves while pregnant are the best option, since they will contour your body to show the big star of the day: your belly. I have about 17 maternity gowns (and counting) designed specially for maternity photography. They range from sheer to full coverage, from tight to loose, so you can choose one that goes with your style and personality. If your husband or little ones are joining the session, you can tell them to wear something casual and timeless that reflects their personality. Jeans and a solid, buttoned shirt are always great options. Little boys can wear shorts and buttoned shirts or solid polo shirts, while little girls can wear light colored dresses or jeans with a cute top. Choose colors that go well with the colors of the gowns you chose. Avoid very bright colors or very heavy patterns, since they can cast weird colors on your skin and overpower the pictures. The session is about you and your future baby. Make it unique! You're more than welcome to bring anything that adds a personal touch to your photos. It could be as simple as your ultrasound picture. Maybe the grandparents are already busy at work knitting cute little things for their grandchild, or maybe you told your husband he was going to be a dad by buying the baby's first teddy bear! All these things are what make your session yours and I encourage you to bring them. Your pets are also welcome! There are also fun items that can give a special something to your images, like balloons, flowers, glitter or body paint. Ultrasounds, teddy bears, booties and pets, if it is special for you, it is welcome! Since the moment you decided you wanted maternity photos, you might have been practicing poses in front of the mirror to see what's your best angle. The thing is, you're hiring a professional photographer because we know how to get the best out of each pose. Don't think that you have to know how to stand and where to put your hands, that's why we're there! We know how to capture the best 'you'. At Lemonshoots, maternity sessions last between 90 minutes and 2 hours. You might change outfit about 3 times so you can have different looks. We will walk around during the session so we can have variety in your photos, stopping here and there for a few shots and then moving on. This is a time to have fun and be present. Remember that pictures are little windows that allow us to revive the past, and we want those to be happy memories. This session is all about you and your family, it's a time to be together and enjoy each other's company while creating lifetime memories. Just let go of your worries that day, focus on the here and now and prepare for a fun evening while we chase the sun to the horizon and surround yourself in dreamy golden light. Some days ago, there was a post circulating around several photography groups about a birth photographer that would not take her client's photos because she was going to have a C-Section instead of a natural birth. I won't get into details, but the photographer said that a C-Section wasn't a birth but a surgery in which the child would be removed from the body. Needless to say, this post enraged the photography community. Out of the blue the post disappeared. Since I don't consider myself a birth photographer really (I've only done one), I didn't think it was relevant for me to write about it. But yesterday, that birth client I had a few months ago tagged me on a post about this issue, and how a birth photographer community put together a compilation of images to show the world how incredible and powerful C-Sections are. I didn't know the issue had gone viral and that it was being known outside the photographers world too. When I saw that, I decided it was important to make a stand. As I mentioned before, I don't consider myself a birth photographer. If you know me, you know how much determination and bravery it took for me to get in that operating room! But I have to say though, that one birth I did was one of the best experiences I had in 2016. I truly believe that it is the most selfless, brave and loving act a mother can do. She is not only having a child, she is having a surgery! She is willing to carry a scar on her abdomen for the rest of her life, just so to bring her new baby to the world. I'm very aware that there are all these opinions about natural birth vs. C-Section. But I also have seen that most likely, C-Sections are never the first option, nor the second sometimes. When a couple decides to have their baby through a C-Section, they might have personal reasons -strong reasons- to choose to do so. Or it might be because they've been told that it is the safest way for their particular case. I can only imagine the struggle the couple faces when they've always dreamed about their perfect natural birth. This takes courage. When I was in the operating room, scrubs on and camera ready, there was a moment were you could truly feel time stopping. I was there, making sure to document the mother's first reaction when she sees her baby. The room was silent and all you could hear was this rhythmic beep, beep, beep; the mother's heartbeat. And then, miraculously, we all hear the sweetest waa waa you've ever heard. If that is not a birth, I don't know what it is! At that moment I didn't know it, but when I was at my computer culling the photos, I saw I had captured the exact moment she heard her baby's cry for the first time. This for me is priceless. This image says so much! And she hadn't even seen her baby! After the room is filled with the wails of this tiny human, he is taken away to make sure everything is ok with him. Mom is still on the operating table, unable to move, and she has to stay there because, I mean, she has to have her belly sewn. They let her hold her baby for a few moments before taking him to a completely different room. That takes something I don't even know the word of. Trust along with longing. Selflessness along with desperation. Still under the effects of the anestesia, she is finally able to feed her baby in the recovery room. She was not sore yet, but on the coming days feeding her baby and wrestling with her toddler would take a lot of effort and pain. This takes bravery. I'm in no way diminishing the merits of a natural birth. But I want to point out that a C-Section is a birth as much as any other. Taking these photos and witnessing a birth for the first time was life changing for me. I found this mother to be extremely strong in ways I can't describe. And I want to tip my hat to every woman out there (including my own mother) that had their babies through a C-Section. Thanks to this act of love, many of us can be here, living and pursuing our passions. Your heart must be huge and your courage alongside with it. If you want to learn more about this story, you can read The Huffington Post article here. When I began focusing in newborn and maternity photography, it was very hard not to spend all my earnings in the perfect vintage bucket, the cutest mohair bonnet or the most gorgeous maternity dress. Ask any photographer: prop shopping is a serious addiction we live with! But when you take your business seriously, you can't just go and buy every cute little thing you find online or at trunk shows. You have to make budgets and stick to them. I tried to cheat and set aside a big chunk for prop shopping, but then I had to cut back on very important things like Marketing and Education. Did I spend all my money on props? Luckily I was taking a Business 101 class that made me think about it twice. At that time, I heard one established photographer say something that stuck in my mind and has never left me. She said: "If I could start all over again, I would spend less in props and invest more in education". She was so right. 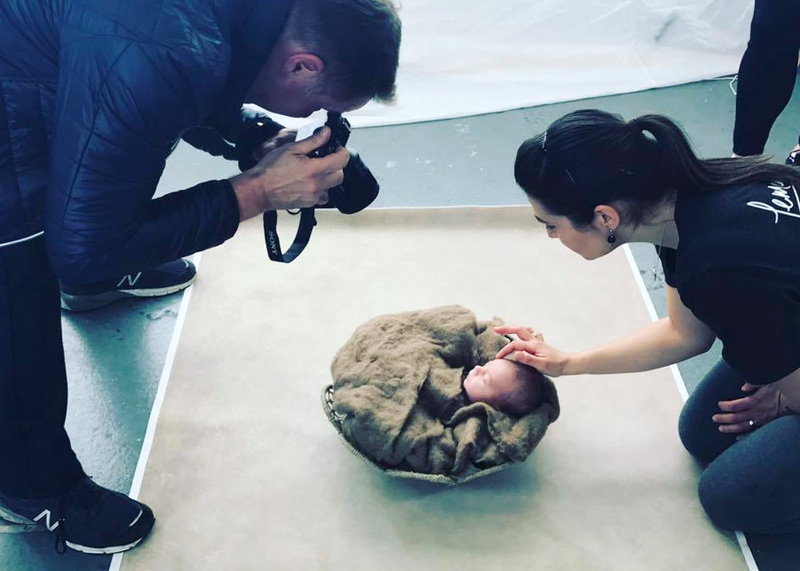 No matter how big your prop collection is and how awesome that backdrop is, if you don't know the proper techniques to pose a baby, the photos won't be good enough. Needless to say I went back to my budgets and fixed them accordingly. And I'm so happy I did! Since that day I always think twice when buying props, but I'm more determinant when it comes to courses and workshops. Last year I was lucky enough to learn from two of the best photographers in the industry (Ana Brandt and Paloma Schell) at their in-person workshops, with very small groups of students. This was awesome, because it was like having the photographer all to yourself; an open book of knowledge and experience. These two workshops changed my techniques for the best. They have been the best investment from 2016. I want 2017 to be no different. It began with the right foot. Last week I attended Ana Brandt's workshop in San Francisco. This time not as a student, but as an assistant. Even though the info refresher was a good thing, I learnt most from optimizing and streamlining a session, how to have everything planned and ready for when you need it. I consider myself a very organized person, but there's also room for improvement! Also, working alongside Ana was a very unique experience. To continue with my learning path, I'll be attending a Baby and Maternity Conference next May in Newport Beach. I'm so excited to learn from all the talented speakers that will be there! Some of them I've been following since my early days as a photographer. Some other names are new to me but their classes look so interesting! I'm also on the watch for a newborn safety workshop coming in the Fall. I love taking photos of newborn babies and pregnant women. In order to continue doing so, I'll always keep learning and improving, making sure you find in me the best photography services for you and your loved ones. Happy New Year! ... is it still ok to say? In other matters, exactly a year ago I wrote my first blogpost. I would have loved to say that since that day I made it a habit and that you could find tons of baby related content in here, but... well, let's just say that my time has been consumed in sessions rather than in blogposts... (and that's not a complaint, I'm so thankful!). But this year I want to change that. This year I want to share with you my sessions and my experiences with clients. Last year I learnt so much from all my clients. Without knowing, they are constantly helping me to become a better photographer, offer better products and services and understand what's going on on the other side of our business. And I feel some of these experiences can help you too. I'll try to blog at least one of my sessions per month, so you can see how a session flows and what to expect for yours. Lastly, last year I purchased a SIB (Stand In Baby) and I named her Jessie. This is a big deal, since this doll was designed by newborn photographers with the purpose of helping other photographers practice poses in a safe way. I've only played with her a couple of times and I can already see the impact she will have on all my sessions! She will help me plan and practice my newborn sessions before they take place, so I make sure everything looks perfect. It is also a commitment to safety, since it imitates the newborn physiology and movement like no other doll does. This is Jessie, helping me plan one of my latest newborn sessions. And talking about safety... last year I was certified as a Safe Posing Photographer! What does this means? It means I won't risk your baby just to get a cool shot. It means I know your baby's body limitations and how to handle him so he doesn't get hurt. It also means I know how to mix photos in post production so it might look like baby was posing alone, but in reality there was always a hand holding him. So here's to 2017, 🍾 a year of change and growth, good things and love! I look forward to many round bellies and cute sleepy babies! One of my 2016 resolutions was to reinvent myself as a photographer. This past month I've been working on the core of my business. Basically, I'm tearing it down and building it up again. This year will be filled with new and exciting things for you, and tons of workshops and practices for me. I've spent the whole month of January learning, thinking and planning for a successful 2016. I hope you become part of it. I heard your feedback and I'll be making a lot of changes in Lemonshoots. I'll be offering lots of new and exciting products. My packages and prices will be modified too. I'm still working on them but I can assure you, you'll have more options to choose from and you'll be getting what you want. I'll be doing some model calls in the coming weeks to add more content to my portfolio, so stay tuned. And let me tell you, I'm not stopping here. I'm taking more courses and workshops during February so you can rest assured you are working with the best photographer to capture your precious moments. I guarantee you'll love your images, your products and overall the complete experience of immortalizing your emotions. Join me for a successful 2016!